Montreal, Quebec--(Newsfile Corp. - March 29, 2019) - Maple Gold Mines Ltd. (TSXV: MGM) (OTCQB: MGMLF) (FSE: M3G) ("Maple Gold" or the "Company") has officially commenced drilling with Orbit Garant's first drill rig, currently at a depth of 125m downhole (see Fig 2 to view drill-core) at the first drill site in the Nika Zone. 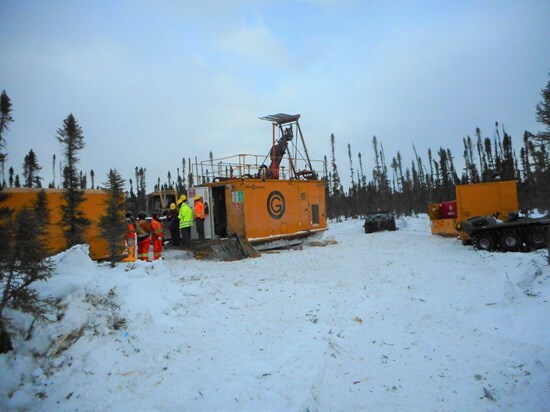 This first drill-hole, DO-19-255, is targeting the near-surface extension of last' year's best intercept in the Nika Zone (hole DO-18-218), which returned 50 metres averaging 1.77 g/t Au (see press release dated May 14, 2018). The second drill-hole will test the depth continuity of the same intercept, with additional holes planned in this area to test other nearby higher grade targets. Maple Gold's President and CEO, Matthew Hornor, commented: "The Nika Zone and surrounding NW Gap Area represents an important opportunity for the Company. 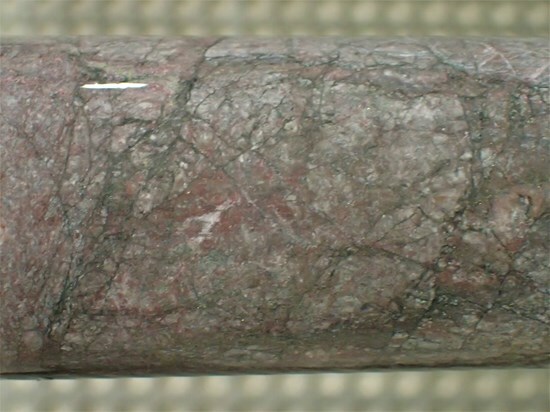 The drill density in this area is relatively limited and last year's new discovery demonstrated the ability to define brand new zones within the greater resource area. Further drilling success in this area could lead to the definition of more near-surface mineralisation and help us link the Douay West, Porphyry and NW Zones." An additional drill-hole approximately 250m to the west of DO-18-218 is planned to test the volume potential of a high-grade (21.1 g/t Au) intercept obtained from the final 1.5 metres of a historical drill-hole (DO-12-05), drilled back in 2012. Forage Pikogan's first drill has also arrived and is set up at its first site in the Porphyry Zone, with drilling expected to begin tonight. Maple Gold implements strict Quality Assurance ("QA") and Quality Control ("QC") protocols at Douay covering the planning and placing of drill holes in the field; drilling and retrieving the NQ-sized drill core; drill-hole surveying; core transport to the Douay Camp; core logging by qualified personnel; sampling and bagging of core for analysis; transport of core from site to the analytical laboratory; sample preparation for assaying; and analysis, recording and final statistical vetting of results. For a complete description of protocols, please visit the Company's QA/QC page on the Company's website.